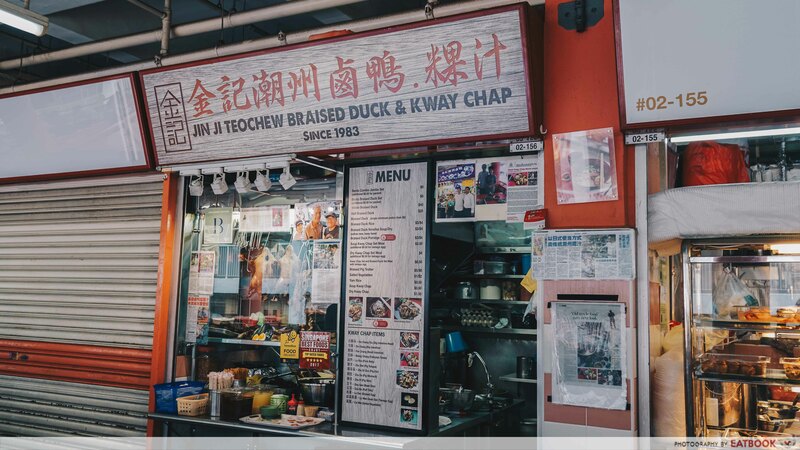 It was about a year ago when we visited Jin Ji Teochew Braised Duck and Kway Chap. 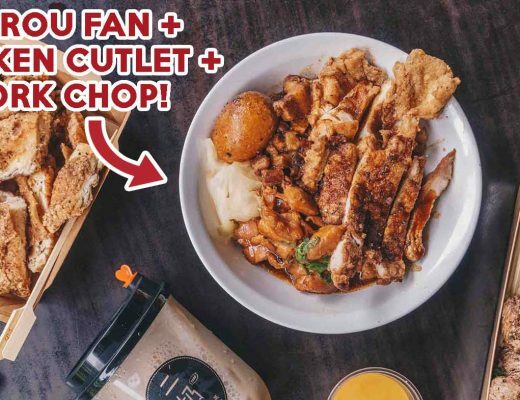 Helmed by the affable Melvin Chew, second-generation owner of the 35-year-old business, we were impressed with their Japanese-inspired Bento Combo Jumbo Set. This time, we’re here to check out his Dry Duck Ramen ($5) which was released in May this year. 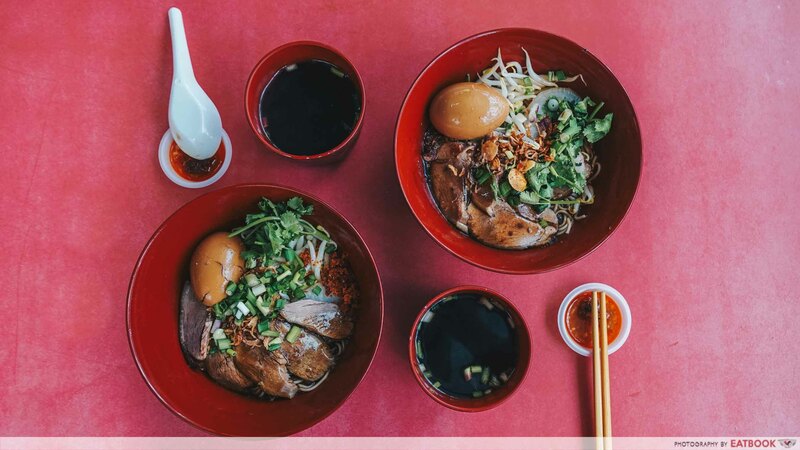 Noticing how Singaporeans enjoy eating ramen, Melvin wanted to create a noodle dish that consists of Singaporean-style braised duck that we all know and love, but with a hint of Japanese flavours in it. He firmly insists that the duck ramen must have a traditional and familiar taste. 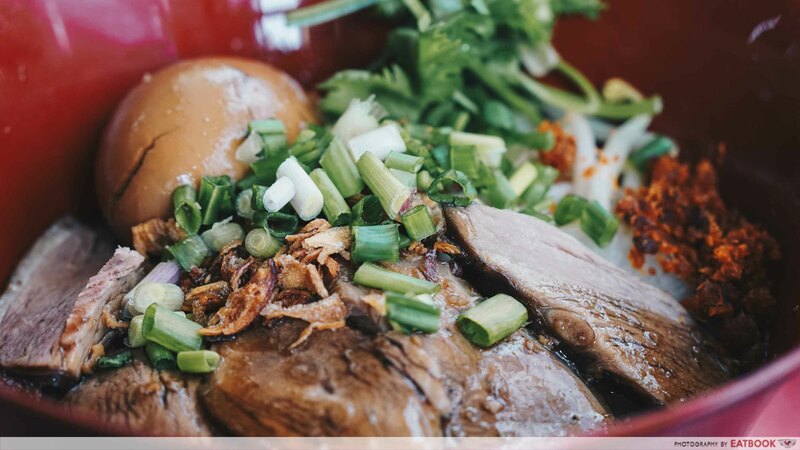 It is important to taste similar to Teochew braised duck but also have a slight tinge of innovation to keep things interesting. 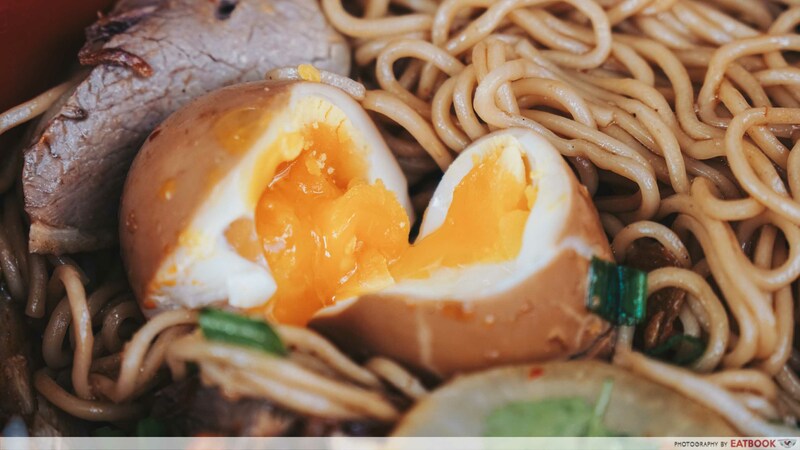 You won’t be able to find the dry duck ramen listed on the menu. Instead, you’ll only find a picture of it framed on the right side of the store, standing out from the many newspaper clippings. Just point at it, and Melvin or his mother operating the store will give a solemn nod, a common understanding that you know all about the finer things in life. 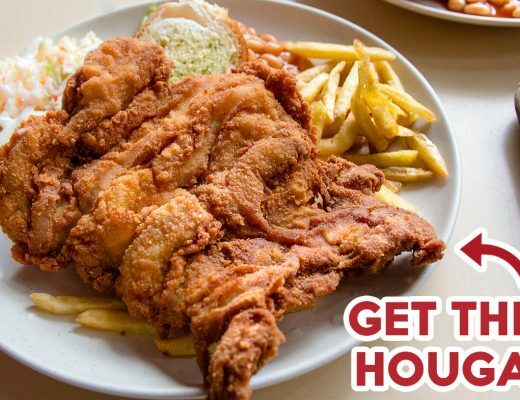 The dish comprises just a few ingredients. Ramen noodles are tossed with sambal chilli, hae bee (dried shrimp), lor (braising sauce), onsen egg, and thinly sliced pieces of braised duck breast. Fried shallots, bean sprouts, spring onions, and coriander are then generously thrown on top for a beautiful combination of textures. 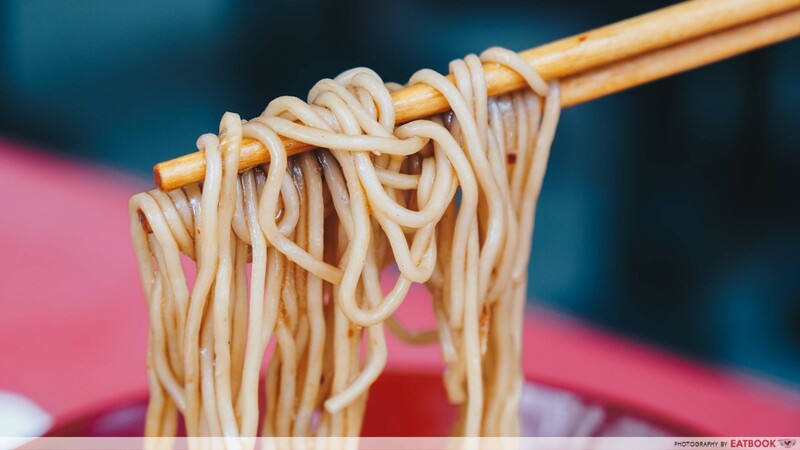 Unlike the neatly plated kway chap bento, don’t expect this bowl of noodles to be artfully plated. What you’re getting here is a simple, no-frills dish that warms the soul. The noodles used are specially imported for this dish. I’ve visited Jin Ji Braised Duck twice and the noodles were cooked just right each time, absorbing the rich lor very well, while having a nice and firm texture. Look out for the hae bee or dried shrimp. These tiny morsels packed a punch, crowding my mouth with loads of rich umami flavours. I believe this is the secret ingredient that gives a hearty and pungent essence to the slightly sweet gravy. 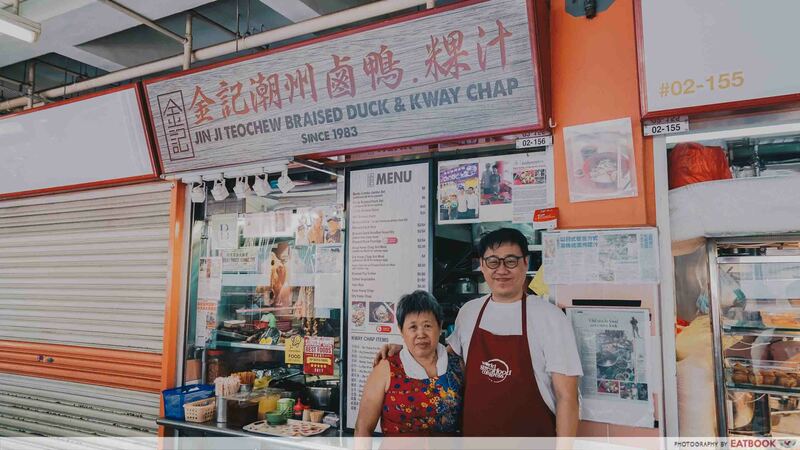 The duck breast was cooked in the old-school Teochew style, with a mild herbal taste that reminded me of my childhood. It was not too dry, with a nice layer of fats that gave it lots of flavours. 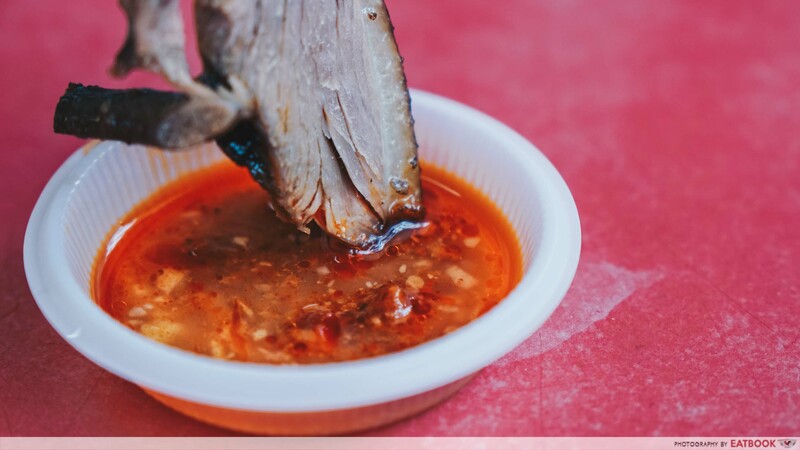 You can also dip the duck into this specially house-made chilli. 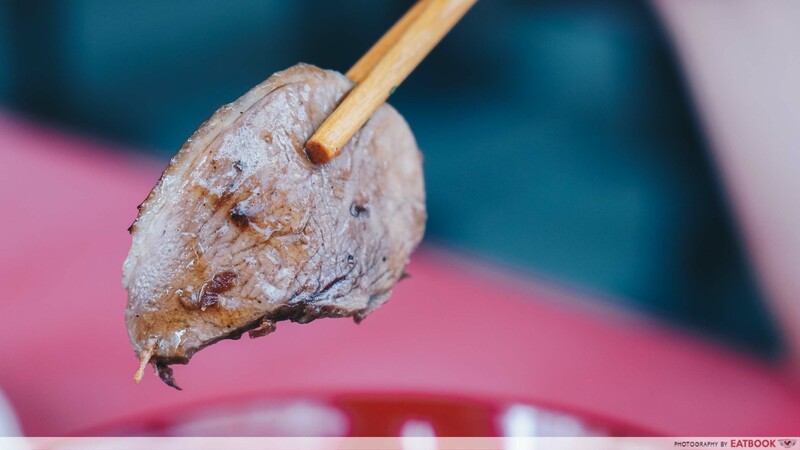 It has just the right amount of heat without overpowering the meat. There’s also a splash of vinegar in it, giving a sharp and refreshing finish. I wouldn’t recommend pouring this directly onto the noodles though; the noodles already have a delicious sambal-based chilli accompanying it. 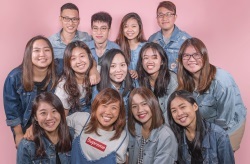 Here is something interesting. 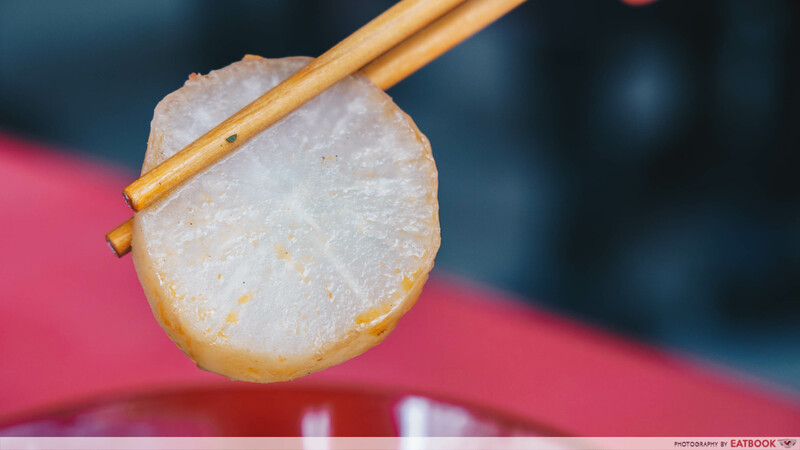 You’ll find slices of thick radish that have been gently simmered in the same braising sauce used to cook the duck. The radish soaks up all of the herbs, spices, and juices of the duck, resulting in an explosion of flavours when you bite into it. There’s also an onsen egg added into the mix, giving great value for $5. The egg tastes very similar to the typical lu dan, or soy egg, the ones found in braised duck rice stores. 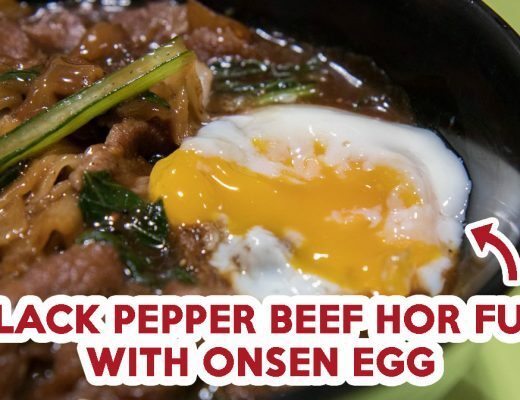 However, unlike typical lu dan, which is often overcooked and has an unsightly firm grey ring around the yolk, the egg yolk here is slightly moist at the center, reminding us of Japanese onsen tamago. 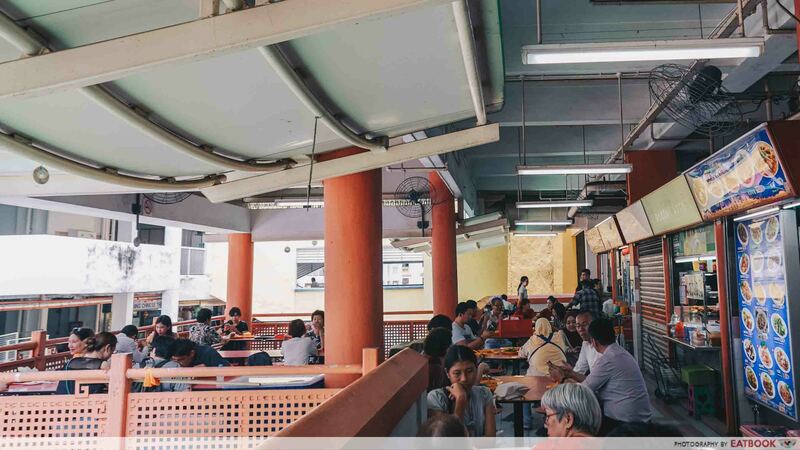 Located at the popular Chinatown Complex Market & Food Centre, looking for a seat during lunch and dinner hours might be challenging. Still, the hawker centre is well-ventilated and there are plenty of stores to visit. You might even get lost tracking down Jin Ji in the huge labyrinth of stalls. Before my first visit to Jin Ji, I thought the duck ramen would taste like any other hawker ramen out there. I was very wrong. On my second visit, I brought along a photographer but was afraid that it might not be as good as my first visit. I was wrong again. Just like its duck ramen, Jin Ji never fails to surprise with their consistency and quality. Most of the ingredients here are prepared from scratch, even their fried shallot and hae bee. From duck bento to duck ramen, I’m very excited to see what Jin Ji brings to us next. Maybe we can look forward to a duck katsu in the future?